I would like to take this opportunity to address three issues realizing that the views expressed herein are entirely my own and not necessarily those of anyone else. 1. NO LEVEES IN 1917? 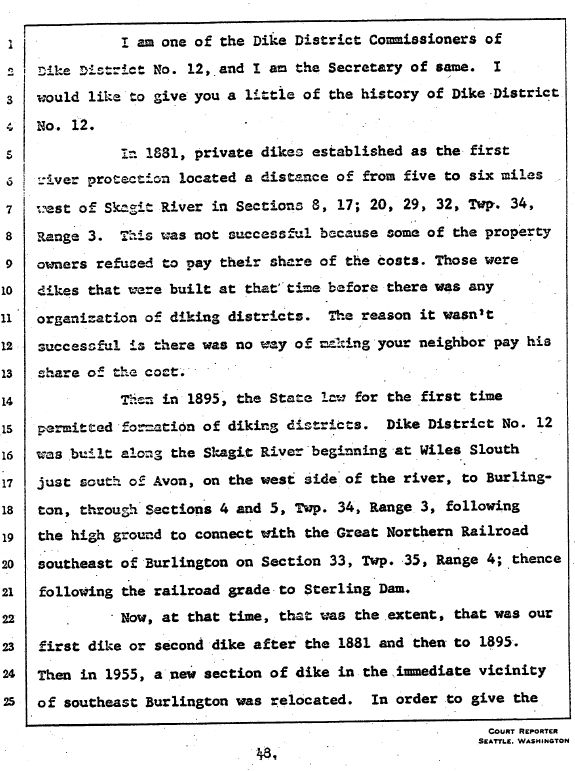 In 1917/18 the majority of Burlington was located several miles north of the Skagit River and Gages Slough/Varney Slough which carried the bulk of the floodwaters south of town with the exception of what Burlington stopped at the Fairhaven crossing of the railroad and diverted to the Samish. If only Burlington had not encroached into the floodplain/farmland with commercial development and had Dike District 12 move its levees off the edge of the river and put them on the north side of Gages/Varney Slough, they perhaps indeed would not need “dikes” (levees) to protect it from river overflow. The second issue I would like to address is the committees work to date. I realize that I cannot possibly expect everyone else to show the same level of interest in this issue that I have over the last 30 years. I am constantly reminded by my wife that there is a fine line between dedication and obsession. Therefore, it is with some hesitancy that I raise this issue now. To say that I am somewhat disappointed in the collective effort of our membership and of the various subcommittees work ethic is an understatement. We have one committee member that has openly and publically boycotted the Advisory Committee meetings so why haven’t we asked the County Commissioners to replace him? Our committee does not seem to want to communicate via e-mail that would have saved all of us a lot of face time at committee meetings. Only a handful of us sent comments to the Corps of Engineers on their “measures” meeting, (its now been 7 months and no response yet from the Corps of Engineers on those comments). In addition, even fewer in number have taken the time to comment in writing on the documents our consultants are putting together. Now because I am paid a lot of money to over analyze things I think that lack of electronic participation is probably because not many on the committees want to leave a paper trail on their thought process. Some are businessmen and or lobbyists with close ties to the development community that might not agree with the committee member doing the right thing instead of what is in their best special interest. One is a state agency rep who clearly does not have the authority to commit his agency to anything. Some are elected officials that probably worry about upsetting the wrong group of constituents or dike district commissioners afraid they might not be putting forth the consensus of their respective districts. Whatever the reason, it is a shame that we cannot freely exchange ideas over e-mails instead of waiting for monthly meetings that take up way too much of our time instead of discussing substantive issues. The Land Use Subcommittee has not addressed any land use issues at all. 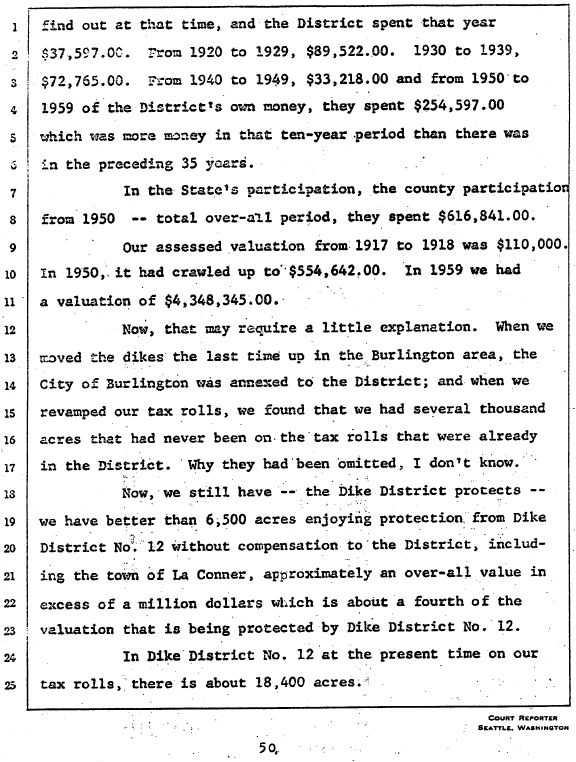 I understand YOUNG Mr. Jason’s explanation is that it was decided that each jurisdiction should handle its own land use business (or words to that effect), however this is the Skagit County Flood Control Zone District, not the Burlington/Dike District 12, or the Mt. Vernon Dike District 17, or the Tribal Environmental committee. The sub-committees title is the Land Use Sub-Committee. This is a collective effort, so why not collectively look at how each jurisdiction handles flood projects, fish projects and development and see what has worked, what has been ignored, what could possibly be changed or if anything needs changing? I do not feel it bodes well in the public’s eye for this very important element of the flood issue to be kept in the backrooms of individual jurisdictions. The Environmental Subcommittee while at the last committee meeting coming very close to stating that the Fir Island By-Pass project is key for them and goes a long way towards getting the most bang for the buck, has still yet to give the Advisory Committee a project that the committee could wrap itself around and come to a consensus decision in order that we could build fish enhancing projects (i.e. the Fir Island Bypass, restarting the Upper Skagit fish hatchery for Chinook and Steelhead enhancement; the Hart Island fish habitat/wetland enhancement project). The Dike and Drainage Subcommittee has yet to step up to the plate, admit past transgressions, and commit to doing a better job of complying with local/state and federal land use regulations. Levees being raised and “extensive levee enlargement work”, and “levee system upgrades” all done without the benefit of proper permits or proper analysis must stop and the Dike Districts should commit to stopping it. The good ole boy giggle giggle wink wink, nod nod, “We never do any improvements to our levee system, (giggle giggle wink wink nod nod) we just do maintenance on our levees.” The belief being that maintenance requires no permits while improvements do. Then there is the whole litigation arena that if a group of individuals wanted to stop a project (of any kind) from going forward, the argument could clearly be made that the current levee system is in violation of several statutes and the NFIP local ordinances. The reason it is important to admit to, stop and cure this process is because if we are to ever sell a program to the public we must come to the table with clean hands. If the public perceives that it is business as usual then we will end up with the same results as we did in 1979 (See Quote of the Month). Everything we do has to be with one eye on the end game. Failure should not be an option this time around. There are many other issues that the Advisory Committee will have to deal with in the upcoming months. Levee ownership of “new levees”, especially those away from the rivers edge. Whose going to own and maintain those? Financing, how are we going to fund the 300 million dollars plus worth of projects that we are currently looking at? (See Skagit County Public Works: What Will Flood Control Cost?) 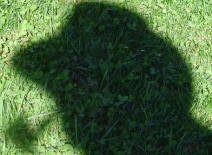 Property tax or sales tax, which will it be? Is it the understanding of all that there will be no exemptions from the Flood Control Zone Districts assessments? How are we going to address the double taxation issue? Should those living outside the floodplain pay the same as those receiving the most benefit or in the alternative should they be paying anything at all? They didn’t ask you to build your cities and towns on the bottom of the river. They will not benefit to the same level that the residents/businesses on the bottom of the volcanic floodplain will so should they be taxed at the same rate via a property tax? Do we wait on the GI process to run its course before we ask the voters for their approval/opinion or do we ask for an advisory vote on the funding issue? Will we receive a written commitment from the Dike Districts that they will not lower their current assessment values in order to ensure that their constituents will not be paying anymore then they currently are, that in my opinion would sour the public entirely against flood control of any kind? 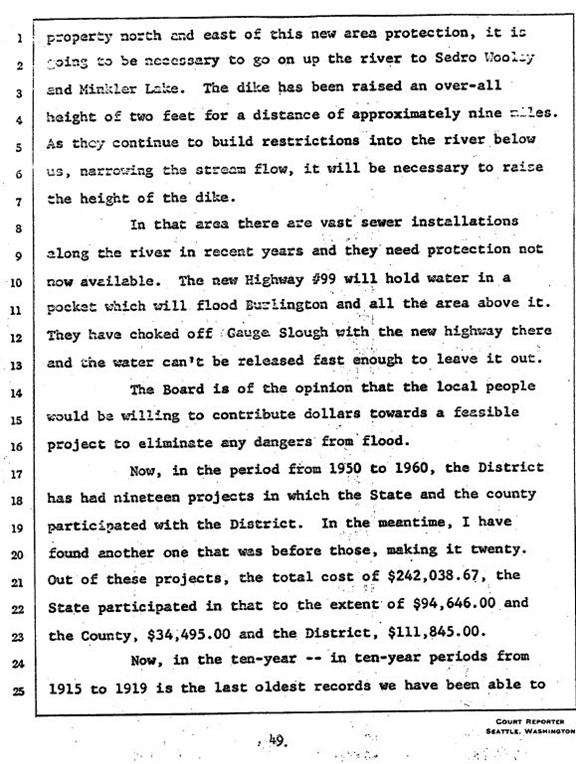 (See Skagit Countywide Flood Control District – An Evolution In Progress, pay particular attention to the e-mail from Kelly Briggs to Dave Brookings dated 6/27/05). Clearly, we have our work cut out for us and we need to either spend more time discussing these issues (as in all day meetings on weekends) or we need to communicate by open public forum methods such as blogs, or e-mail. There would be nothing wrong with putting in a disclaimer that all views expressed are entirely the views of the individual committee members and not necessarily the views of any agency, town council, business group, dike district, sub-committee the individual may or may not be a member of. Emergency Overflow Spillway: I feel that the cheapest, most environmental friendly and engineering feasible project we could build would be to widen the 3 bridge corridor 500 feet (or more) and install an emergency overflow spillway (not to be confused with an overflow levee) in the Avon area. This spillway would only be activated when flows reach 145,000 cfs at the Mt. Vernon gage. In the last 82 years, the spillway would only have had to be used once and possibly twice (1990 and 1995). The floodwaters would then flow naturally towards Padilla Bay, which is where they are going to flow anyway during a major flood event. It’s not like we would be spilling the entire flow of the river. During the 1990 flood event, the spillway would only have been spilling water for a period of 11 hours for an average of 5,100 cfs per hour. We would have to make sure that the water did not cross Highway 20 by either installing a berm on the south side of the highway or by raising the highway. Granted, during a 100-year event the spillway could be spilling as much as 30-50,000 cfs but what is the alternative? To have the water flow through the City of Burlington or be forced into the Samish River Basin? a. It would allow the flood waters to pass the City of Burlington and spill onto the floodplain in a safe manner before it reaches the City of Mt. Vernon thus saving the Urban areas from catastrophic flooding and cutting the cost of the current proposals drastically (i.e. the Mt. Vernon floodwall wouldn’t have to be anywhere near as high as is currently being proposed). b. By allowing the farmland to be subject to flooding (once in the past 82 years) it would preserve the farmland from urban encroachment. Fir Island and Samish River flooding would be drastically lowered. c. By designating the area as a floodway it would prohibit further development in the natural corridor where under current conditions the floodwaters are going to go anyway thus decreasing future damages. Further, it would keep the floodway designation out of the Urban areas which under current conditions in all likelihood it will be placed. d. Out of all the projects looked at, this could be the most affordable; provide the most benefits, meet the three E’s, perhaps even be acceptable to the majority of the voters who should have the final say in any proposed project. Admittedly, the people living in this floodway corridor would object, but what they must realize is that if we do nothing, which is what we have done for the last 100 years, during any catastrophic levee failure or even if the levees hold under current conditions the water will end up in that corridor as they have in so many floods in the past. e. What about the fish you ask? Wouldn’t providing an emergency overflow spillway put fish out onto the floodplain? The simple answer is yes. Once in the last 82 years we would have impacted some fish. In the last 82 years, there have been many levee failures. The most recent on Fir Island in 1990. How many fish were impacted by the levee failures? If there were no levees, how many fish are stranded on the floodplain? The fish issue like any other adverse impact can be mitigated if given a chance. I am the first to admit that the above may or may not work. And if it can be shown by hydraulic modeling or cost/benefit ratio that it will not work, or simply the public doesn’t support it I will be the first to recommend that we do not proceed with the project. However, while we are asking the Corps GI process for the moon and the stars and to look at projects that for the most part have all been looked at many times before (See History of Flood Control Projects Studied) I think that we owe it to the people of Skagit County to at least have the Corps analyze it even if it does not meet Corps project standards. If it meets our 3E standards that should be good enough realizing that we would have to pay for it all. I would apologize for the long e-mail but look at all that got said to so many and didn’t take up any committee time. Enjoy! !